Remember that Xiaomi leak at the beginning of the year? We’re talking about the Xiaomi foldable smartphone that was so cool everyone was wondering whether it was legit or not. Well, we’ve got more of that! 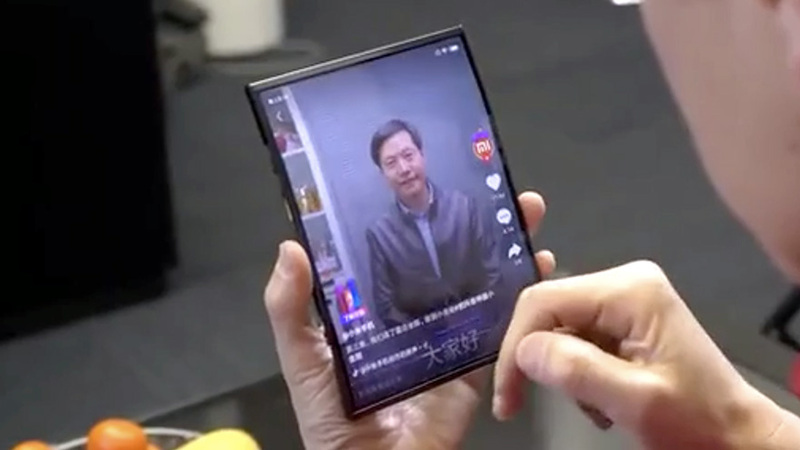 Company president and co-founder Lin Bin posted a teaser video on Weibo where he uses a tablet sized device which he later folds back on both edges. Exactly like the initial leak we told you about. Xiaomi Mi Dual Flex and Xiaomi Mi MIX Flex are the two names the company considers for the device. Depending on the feedback, Bin said the company might even consider mass producing it. Xiaomi’s dual-folding phone is coming! After tackling flexible folding display, four-way folding hinge, flexible cover tech, MIUI adaptation and other technical challenges, we have made the first foldable phone, and should also be the world’s first dual-folding phone. This symmetrically dual-outer-folding form factor perfectly merges the experience of a tablet and a phone, it’s both practical and beautiful. Even though it’s still a prototype, we’re showing it to you all. Feel free to share, comment and like. If you all like it, we will consider mass producing it. Also, we would like to give this prototype a name. What do you think?I have two: Mi Dual Flex, Mi MIX Flex. Suggestions are welcome! The UI, as seen in the video, completely adapts to the folded form factor. The prototype even has a power button on the long edge of the tablet, which automatically becomes the top once the tablet is folded into a smartphone form factor. As exciting as it may look, it might take a lot of time for this device to become commercially available, if ever. Until then, we’re happy to see yet another concept on how foldable devices could look like in the future.